Description: Dropped 3 hogs within 30 mins. Using the Game Alert Stealth kit. 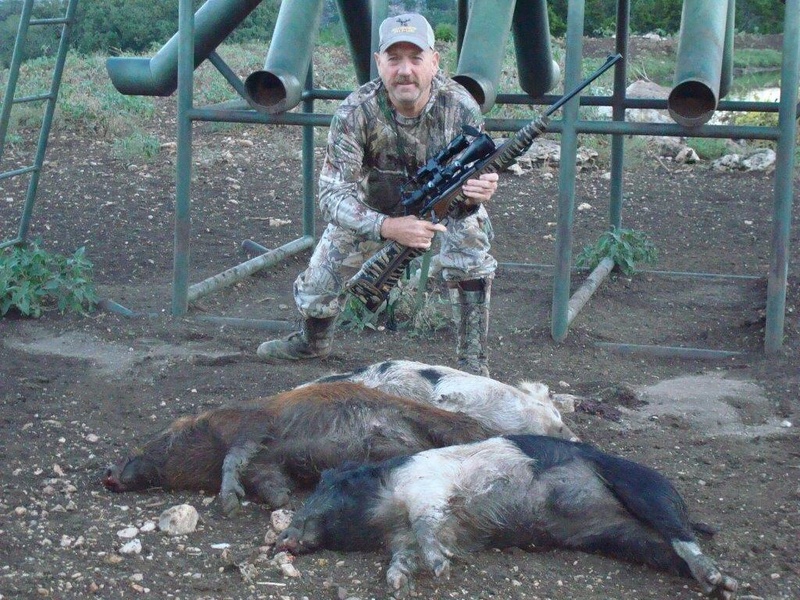 Hunting a main Bulk feeder on the ranch, the hogs rolled in about 3a.m. There were 6 in the group after dropping the third one a thunderstorm rolled in never had the oppty. To see if the others would have returned. Went dark after each shot within 10 minutes or so the group would return. It was a great hunt.